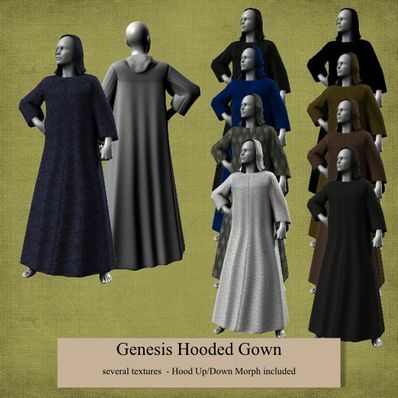 A Hooded Gown for Genesis for use in Daz Studio 4. Several textures for the Gown. Hood up or down morph included. How could I miss this wonderful gown? Thank you very much! You're a Genius!! Thanks so very much! !